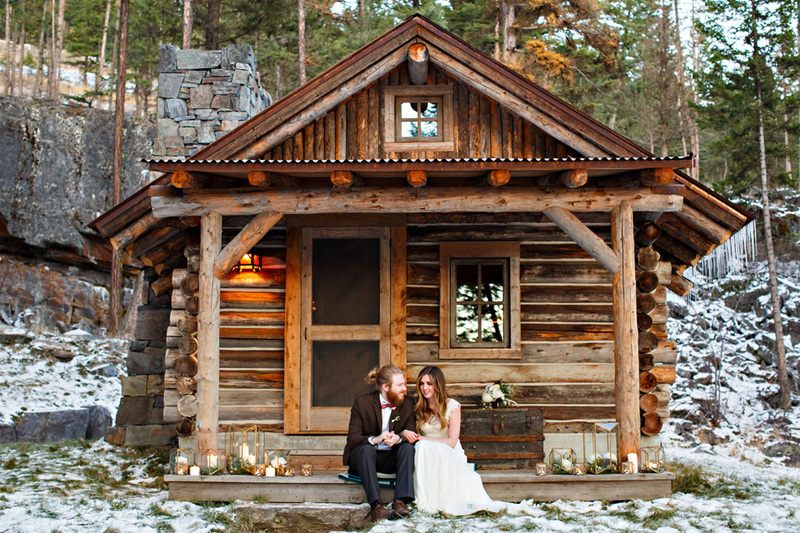 Don’t these photos just make you want to go find a little cozy cabin like this one and live in it forever?! 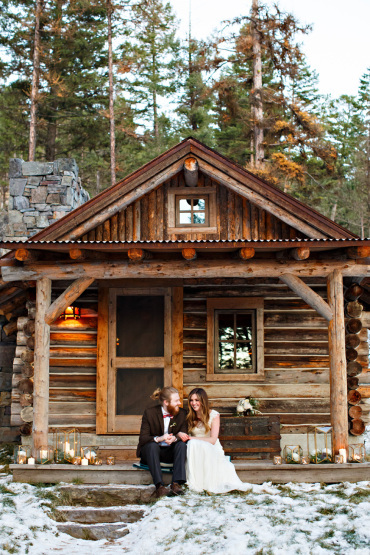 If it wouldn’t have been so cold outside, I think we definitely would have hung out on the front porch of this cabin all evening long at least! 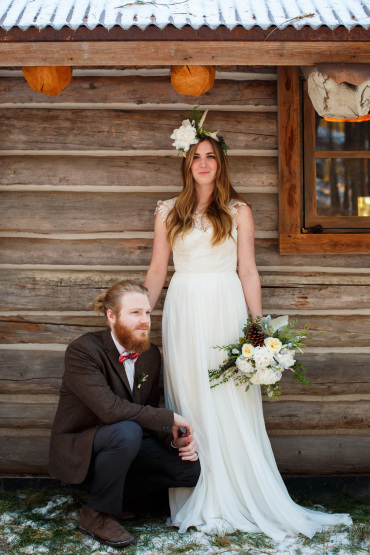 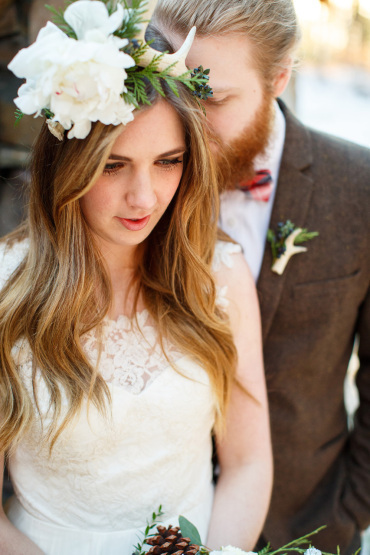 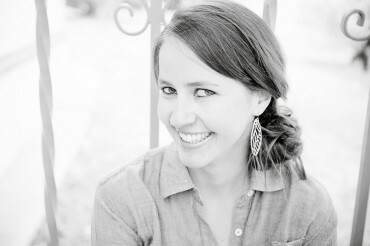 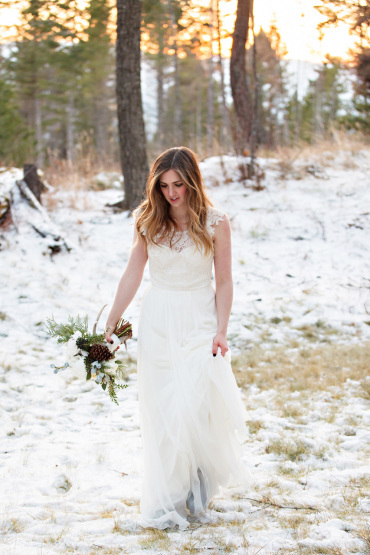 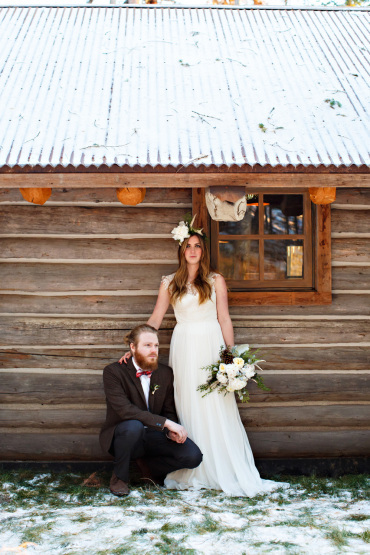 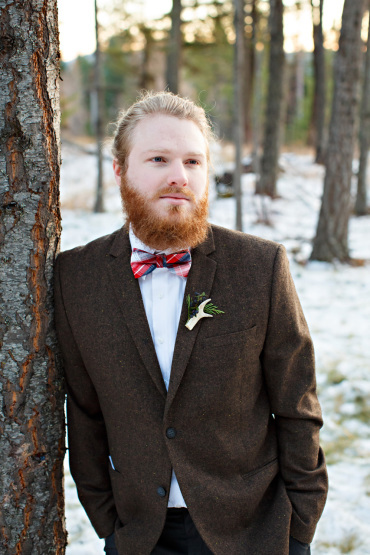 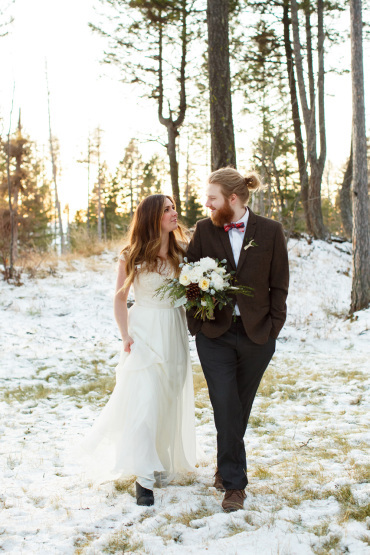 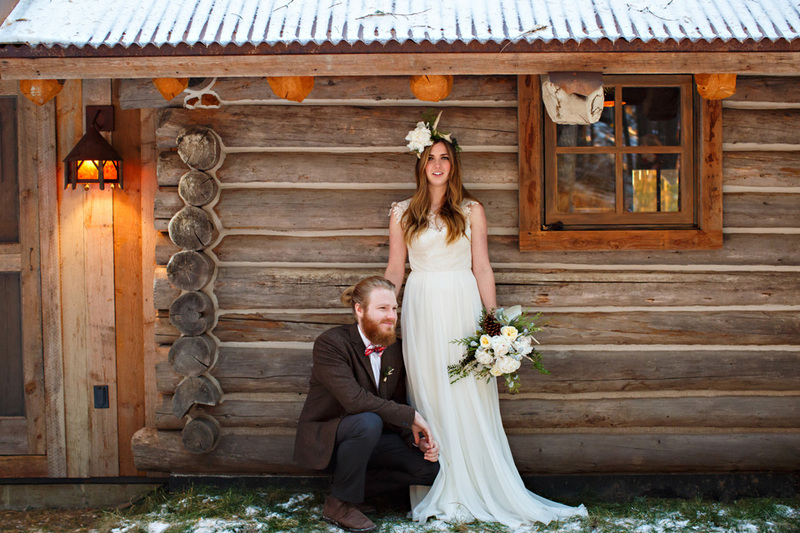 This set of images is part two of the styled shoot we did in Whitefish, Montana. 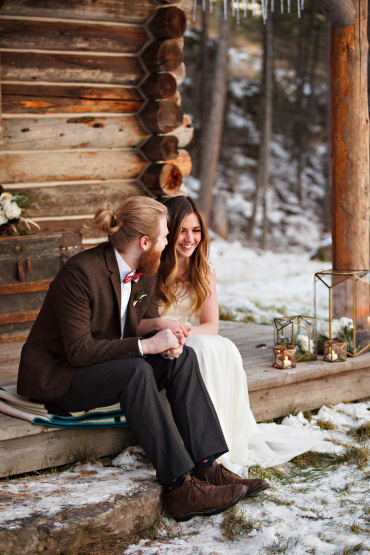 You can see part one here. 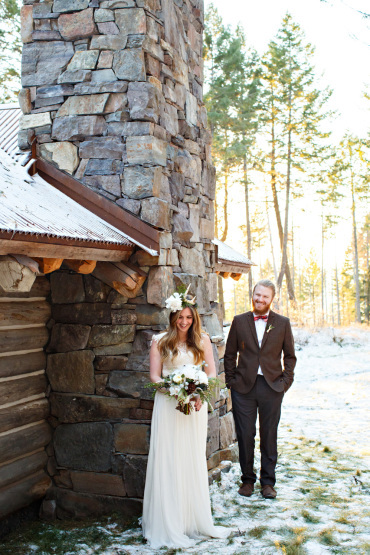 The gown in these photos is from the designer Claire La Faye and I think it was strikingly beautiful in this rustic winter setting! 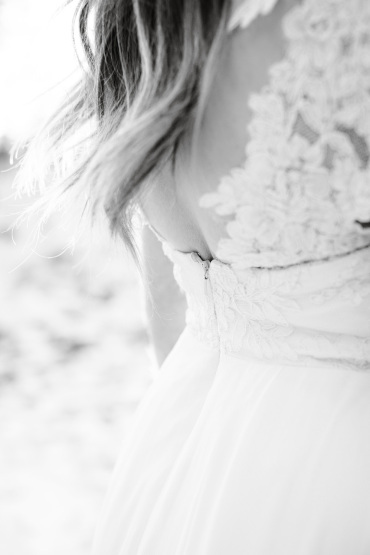 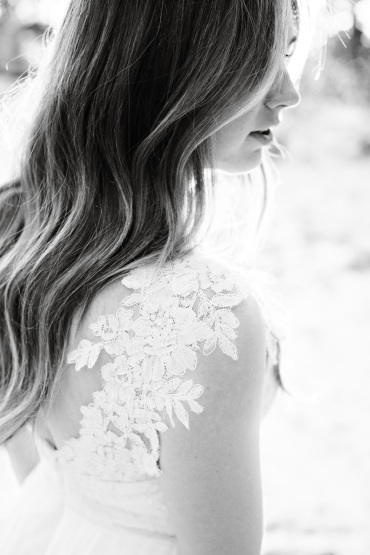 The details of the dress blew me away. 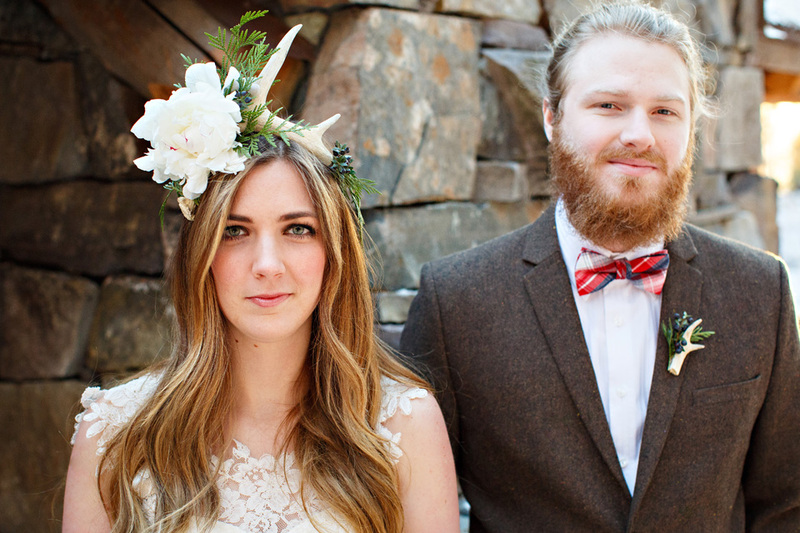 And what about that antler headpiece with the matching boutonniere?! 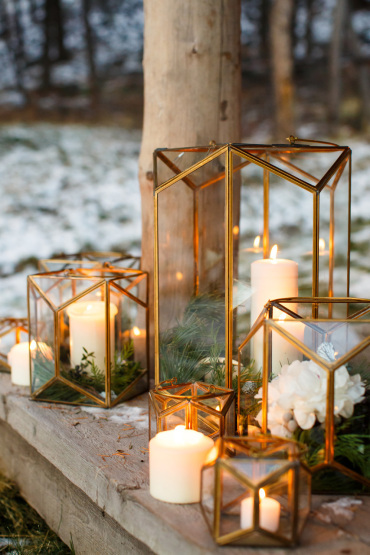 It was so much fun to have creative and unique pieces to work with. 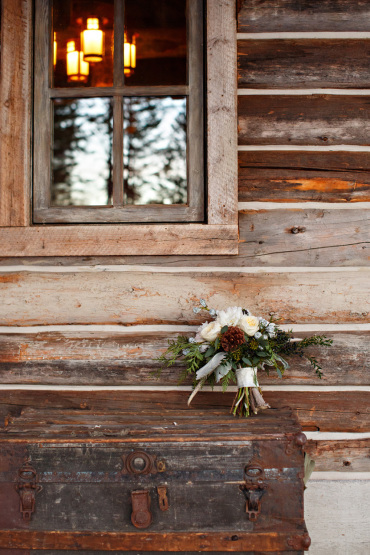 Mum’s Flowers is just so so good! 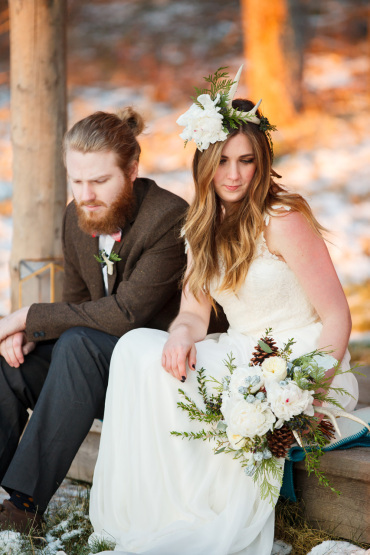 I am so thankful for this wonderful team of vendors we got to work with!